What will the sports of the future look like? You tell us! Have a ball (a SOCKETT Ball) is when you take to the skies with this game idea. SpaceCaster Van Koo gets her turn at the whiteboard to sketch out her “Space Time Turners” game concept. Can you loop the hoop? July Newsletter ESPYs Red Carpet: Space + Sports Collided! Hear inventor and avid International Space Station-watcher Liam Kennedy’s views on Zero-G sports already in play—and his thoughts on what lies ahead. 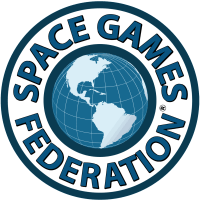 Go front-and-center at the Space Frontier Foundation with Space Games Federation mascot and social media sensation, Nicky. All aboard! 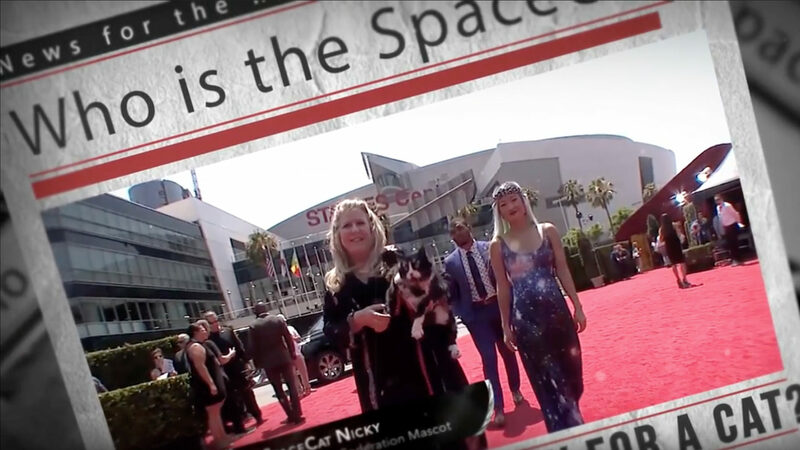 Get wrapped up in the 2016 RAW Science Film Festival with SGF red-carpet icon and serious film buff Nicky the #SpaceCat.